SPORAH TV: HOW TO LOOK LIKE "YOUR" A CELEBRITY..! HOW TO LOOK LIKE "YOUR" A CELEBRITY..! VANITY LOCKS REAL HAIR TAKING AN ORDER FROM A CUSTOMERS. DO YOU WANT THIS LOOK..! 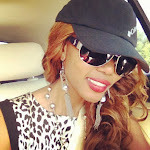 OKAY, DON'T WORRY I WILL GIVE YOU VIRGIN PERUVIAN HAIR THAT WILL GIVE YOU A GOOD NATURAL LOOK. XAVIERE: THE FOUNDER OF VANITY LOCKS REAL HUMAN HAIR PASSING THE INFORMATION TO THE HAIR DRESSER..! AM GOING TO USE VIRHIN PERUVIAN HAIR ON HER.! HERE WE GO, AND THIS IS THE HAIR THAT AM GOING TO USE ON HER, AS YOU CAN SEE, IT IS A BIT WEAVY BUT WE WILL STRAIGHTEN IT TO GIVE HER THE LOOK THAT SHE WANT. AND THIS IS HOW IT STARTS..! THIS IS WHAT WE CALL REAL VIRGIN PERUVIAN HAIR, AS YOU CAN SEE ITS 100% REAL HUMAN HAIR DIRECTLY FROM DONERS IN PERU. 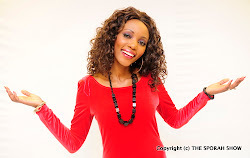 THIS MEANS THAT THE PERUVIAN HAIR THAT YOU PURCHASE FROM VANITY LOCKS REAL HAIR HAS NEVER BEEN CHEMICALLY PROCESSED. EACH PONYTAIL HAS BEEN CUT FROM THE HEAD OF A SINGLE INDIVIDUAL AND THIS GUARANTEES QUALITY AND DURABILITY. THE SHADES AND HINTS OF EACH PONYTAIL ARE THE NATURAL COLOUR OF THE DONOR, AS GOD INTENDED. THIS HOW PERUVIAN HAIR LOOK LIKE WHEN ITS NEW FROM THE DONERS..! SO WE ARE GOING TO STRAIGHT IT SO SHE CAN HAVE THE LOOK THE LOOK THAT SHE WANTS. NOW IS TIME TO CHANGE THAT WEAVY LOOK TO STRAIGHT LOOK. WE ARE ABOUT TO FINISH..! T.I.T.I.I.I.I.................. WHAT DO YOU THINK...? CALL US: 07932757642. OH! GOD ITS FRESH AND MORE..! 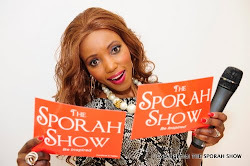 SEE ALL THE MAGIC LIVE ON THE SPORAH SHOW TONIGHT 10:30PM ON BEN TV SKY 184. STAY TUNED. Do you have your own Touching & Inspiring story to tell? Love Story, Violence, Sexual Abuse, overcoming the problems or challenges in your life? Do you want to surprise your LOVED ONE with a different style? Single parents! OR Any disaster stories? Your Story might help another person in overcoming challenges. PURSUE YOUR DREAMS AND IT SUCCEEDED? WE WANT TO HEAR YOUR STORIES AND INSPIRE MORE MUCH PEOPLE WITH YOUR STORIES.! WHERE IS THIS SALON SPORAH?????? the hair is super pretty!!!! am watching sporah show, i like your hair i was just wondering how much it will cost me plse? HI GUYS AM WATCHING THE SHOW BUT THERE'S NO NUMBER TO CALL?????????????????????????????????????????????????????????????????????????????????????????????????????????????????? Its just ridiculous. Very talent ! look like magic, your a perfectionist hair dresser, you calculate every﻿ single hair, I like the way she pull the hair section, straits and perfect. Very nice!! your real hair looks very healthly﻿ too!! I like the finished product but that﻿ was not a good good.......... you really cant see exactly whats being done and it wasnt explained well. That is pretty! That is exactly the﻿ style I want!!! really﻿ enjoyed the show. Future stylist!! hii show itaonyeshwa lini Tanzania? plse just put the adress here plse plse.